The Bell LED UFO 100W and 100lm/w allows you to enjoy a lighting powerful and of great quality. Has a very compact design and characteristic. Integrates a light source of high efficiency that has a performance LED 100 lm/w. The light emitted faithfully reproduces the colors and is divided in a beam of 120º of opening. 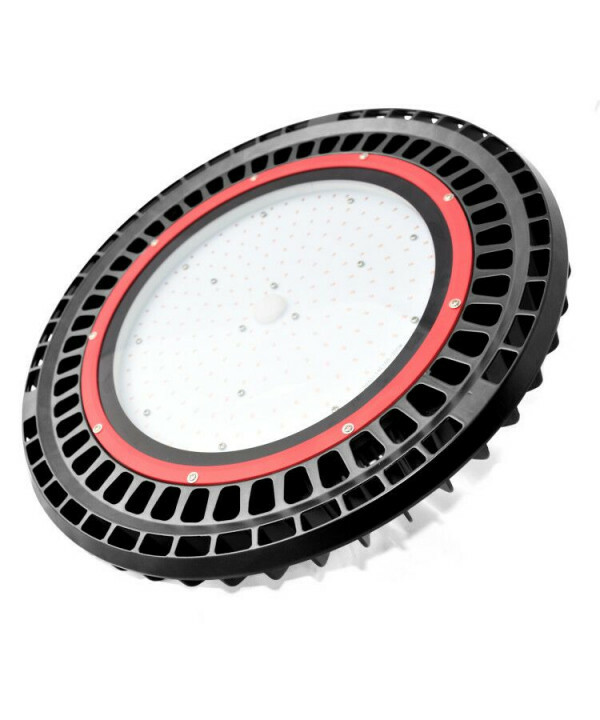 We are faced with a bell LED industrial which allows to reduce the consumption by up to 80% compared to other solutions. 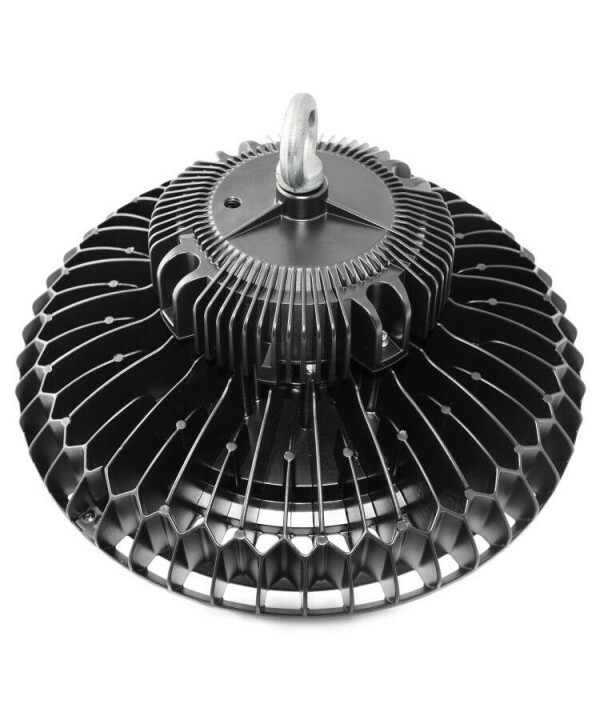 The design of your heat sink is specially designed to always keep constant the operating temperature of the luminaire and remove excess heat quickly and efficiently. 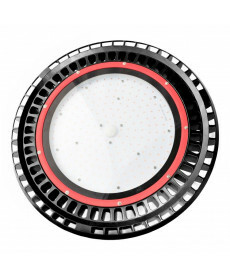 All this allows to extend the useful life of the luminaire, up to 20,000 hours. 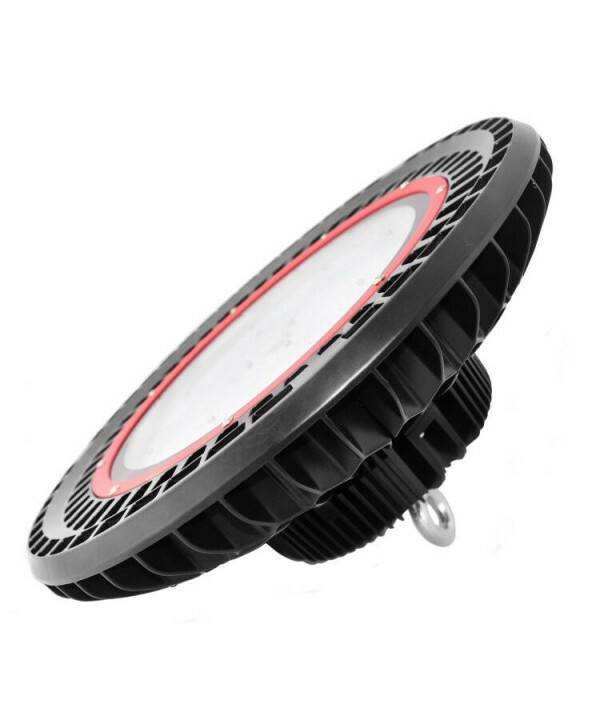 Compact and rugged, this fixture can withstand with complete assurance that the adverse conditions both in interior as in outside, with protection IP65. 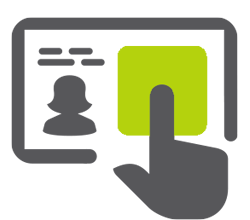 In addition, it can work in a temperature range of -25ºC to 50ºC. 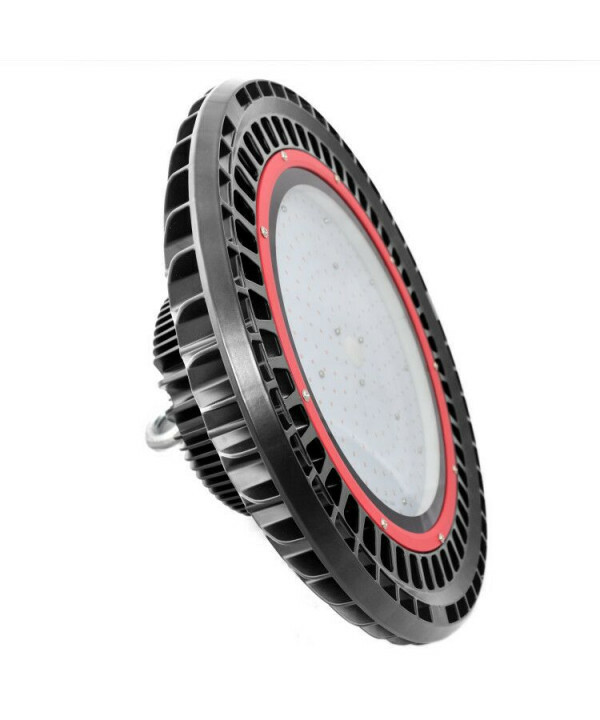 The main field of use for the LED lighting industrial spaces with ceilings too high as factories, warehouses, industrial buildings, workshops or car parks, although thanks to its modern design can be used in commercial spaces looking for a lighting system less traditional.